Do the Canadian Tuxedo in the most fashionable and sustainable way! Just before Australian brand, One Teaspoon, launched their newest brainchild, the RAW, or the “Original” collection (read here), they sent me a pair of the boyfriend jeans and the matching denim jacket from the collection to try out. Yasss boyfriend, relaxed, oversized, with a slight drop-crotch, One Teaspoon totally got my number – and I am stoked and in love. In deep love, also because I am all for sustainability, but so far I have not yet found a pair of sustainable jeans that so totally spoke to me. 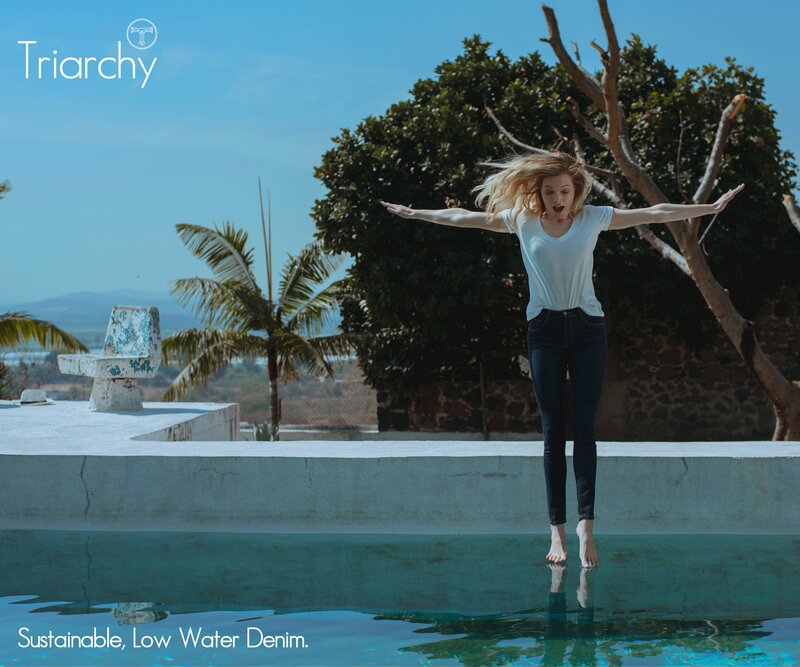 It was either the wash that didn’t convince me, or the denim fabric itself… well, I do have a few pretty cool sustainable jeans that I actually wear and like. But these One Teaspoon are it, for me. Especially, as they had also send me the oversized trucker jacket in the same wash, my very first denim suit. First off, these two pieces are about the softest raw denims I have ever tried on. Raw denim – in the beginning at least, tends to be rather stiffer and scratchy. One Teaspoon saved me the work of having to wear them in for months and months, and gave them the best worn-in soft feel. And the most amazing thing is that the jeans as well as the jacket look distressed even without actually having been distressed! Go figure. As for the sizing of the jeans, stay true to your regular size, or if you prefer a less baggy look, you may even want to down-size. Being that the denim is pre-treated and super soft, it does tend to stretch quite a bit. You can shop for the complete Original collection here.